I decided to have a go at doing something fun with my Kickstarter Rapiro this evening and got some inspiration from Tony DiCola on the AdaFruit blog (http://learn.adafruit.com/raspberry-pi-face-recognition-treasure-box?view=all). So here are the steps I took and the script I put together for my Rapiro Facial Recognition 3am hack. note: the make command takes about 5 hours! 3. Download Tony’s base project here from GitHub note that I deleted all the negative training images or it takes an age to run the final script. 4. Take Pictures of you – type c (and press enter) to capture about 10-12 images in different orientations and expressions. #M8 – robot will wave goodbye with his left arm. LED will become RED. This entry was posted in Development Work, Kickstarter, Rapiro, Raspberry Pi, Robots and tagged Rapiro. After a bit of a wait I got my Rapiro today and started to put it together, this should be quite a fun bit of kit! This entry was posted in Kickstarter, Rapiro, Raspberry Pi, Robots. 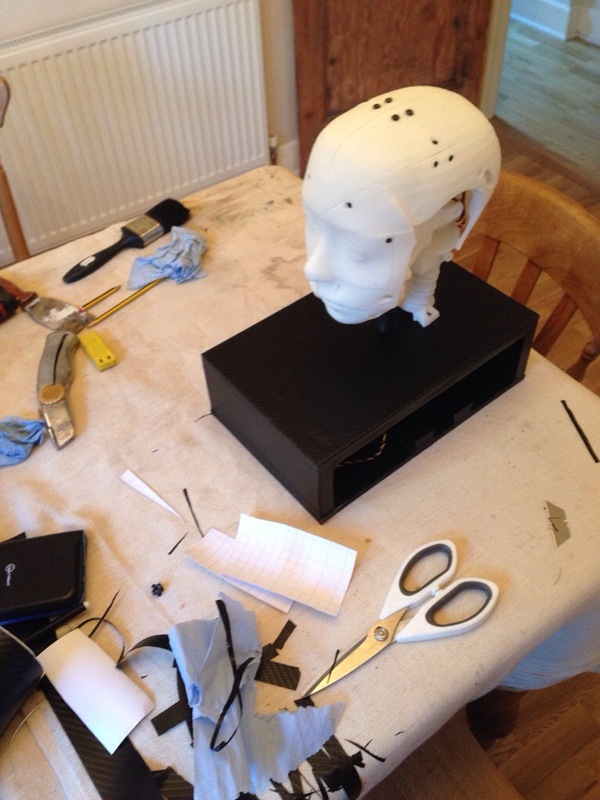 Built a nice box for the humanoid head I’m working on today and mounted the final servo.. Next eyes and so many options! I also git to show him off at rLab robot workshop today which was just an inspiring day!! 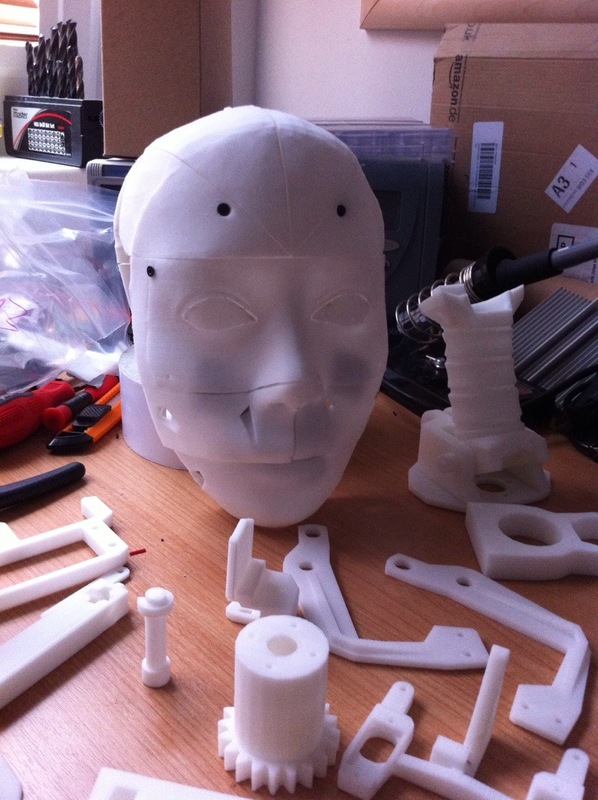 This entry was posted in 3d Printing, RLab (Reading Hackspace), Robots. The jaw hinge is attached and he’s plugged into an Arduino and already a lot better movement… still a lot of work to do – but looking good and really fun! This entry was posted in 3d Printing, Robots. My 3d printed robot getting his first moves on, unfortunately he was missing a hinge in his jaw, but its still v cool! Reading Hackspace is hosting a Robot Workshop on the 3rd of November (http://rlabrobotics.eventbrite.co.uk/), so rather than go empty handed I’ve been building my own. About this time last year I done a huge amount of work on stereo vision and hope to plug that back into this guy. 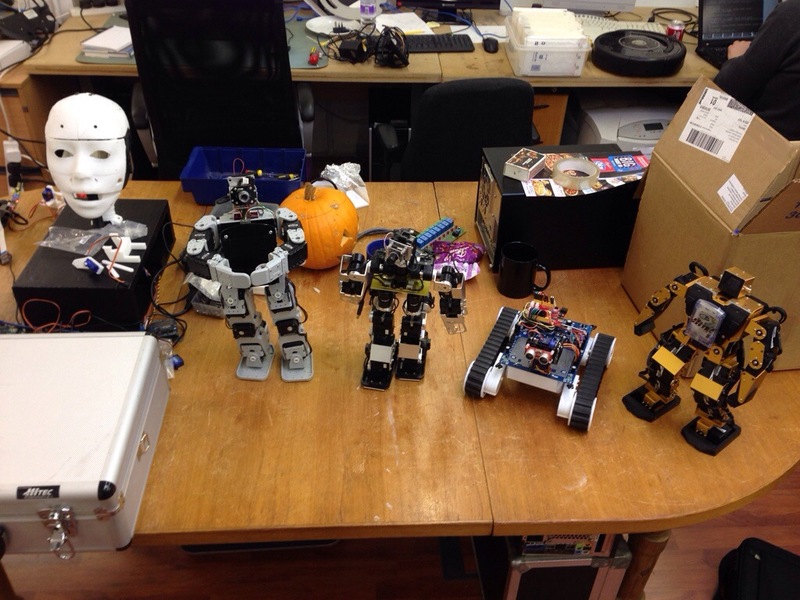 This entry was posted in 3d Printing, Micro Electronics, RLab (Reading Hackspace), Robots.